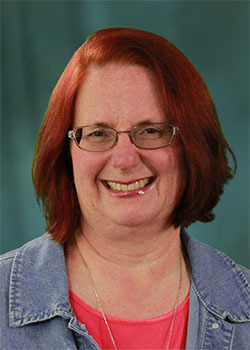 Terrie moved from UT Ag campus in July 2010 to work with JICS/NICS. She is a graduate of Knoxville Business College in Computer Science and Tusculum College in Business Administration. As Administrative Specialist/Travel Coordinator at JICS Terrie primarily handles the travel for the department. She has over 35 years experience in the travel field and is a Certified Travel Counselor (CTC) and Certified Administrative Professional (CAP).